At some stage in their married lives, lots of couples get to a point where they consider or decide to renew their marriage vows. For some, it coincides with a significant wedding anniversary – perhaps 10 years or 25 years; or a significant birthday (50, 60 or 70 years of age, for example). And one or both parties decide it’d be a nice thing to do, or a romantic thing to do, to remind each other why they decided to get married in the first place. It gives them a formal chance, in front of family and friends, to re-pledge what they promised to each other all those years ago. For others, it might mark the end of a stressful or rough patch in the relationship and they just want to celebrate getting through that period by again proclaiming their love for each other. Others want to freshen up their relationship and say to their married partner some promises they were prohibited from saying when they got married in a church. Sometimes, one party wants to surprise the other by setting up what is essentially a highly romantic party and celebration. A word of warning about this. 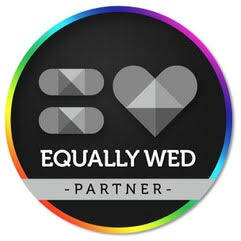 The excited party needs to somehow be certain that their partner will want to also renew their vows. There are some married couples who, when asked if they’d ever want to renew their vows, have said quite firmly they’d walk out if “such a stunt” was put on them by their partner, as a surprise. Not everyone wants to renew their vows! What steps do I need to take to renew my vows? Having decided to renew your vows, the first step is to choose a celebrant who is willing to work with you to draft and then deliver a renewal of vows ceremony. Whilst it may seem easy to have a renewal of vows, if it’s to be truly meaningful and memorable, then it can take almost as much prep work as a wedding – but without all the usual associated trappings. One of the nice things about a renewal of vows ceremony is that there are no rules. There are no legal aspects to be covered off; there is no paperwork. And so the world is your oyster as far as what the ceremony will include and look like. That brings us to the second step – decide on the atmosphere you wish to create for the ceremony. Where will it be held? Will it be at home? Or in a hall? Or a venue that both of you cherish? And when will you have it? After work on a weeknight, followed by some nice food and celebratory drinks? Or on a Saturday evening just before you have a lovely dinner? Do you want your ceremony to be lavish and complex or brief and simple? The choice is yours. That will help you decide who and how many guests you will invite. Will it be only close family members and a few friends? Or do you want to invite people who were part of your wedding, to help rekindle some of those original memories? What’s included in a renewal of vows? Having decided on those things, the third step is to sit with your celebrant and begin outlining what you’re after in your renewal of vows ceremony. Because there are no legal aspects to your renewal of vows, you can pretty much include whatever you want. Obviously, there’d be a welcome and a few words about why you’re having a renewal of vows, and why at this particular point in your marriage. 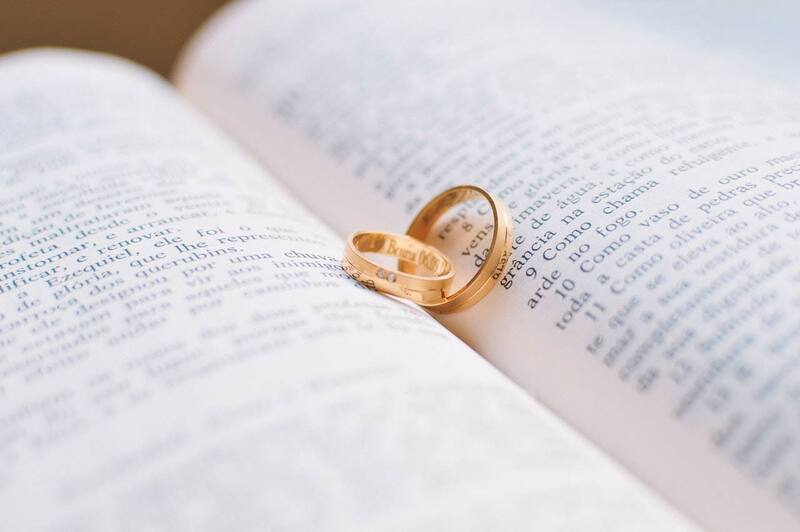 You may wish to include a non-religious reading or two that summarise your feelings about your relationship, your marriage and each other as committed life partners. Your celebrant will be able to show you a diversity of samples of such readings for you to choose from. At some point, you will say your vows to each other. This is the core of your vows renewal. Again, your celebrant will be able to help you out by showing you samples of such vows. They can be as formal – or not – as you wish and, of course, there’s room for lots of humour, if that’s your preference. A renewal of vows allows you to come to this point with much deeper understanding and love of each other than you had when you first said your marriage vows. So your renewal of vows ceremony will be richer for the fact that there’s now so much wisdom and experience, as a married couple, that you can draw upon. Finally, after saying your vows to each other, you may wish to open it up to members of your family or close friends to say some warm words about you on this happy occasion. Perhaps you may also want to engage with your guests during the ceremony by getting them to say an affirmation of support for you both as you head into the next phase your married life. Your celebrant will be able to explain this to you. Your ceremony would typically close with some nice words about the importance of what’s just taken place, and best wishes for continued happiness in your marriage. And you would typically thank people formally for coming to share in this important occasion. How do we recreate the atmosphere of our wedding? perhaps the lead-up to your wedding – was there a buck’s party and hen’s night? where you went on your honeymoon. 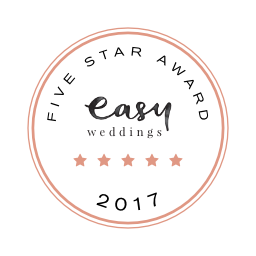 As well, they’ll likely ask you about any memorable things that happened during your wedding ceremony – or perhaps the reception. The more open you can be – and the more giving you are – the better and more enjoyable will be your renewal of vows ceremony. Often couples who have had a renewal of vows tell me that the ceremony helped re-energize and re-boot their relationship. It’s a time to look back on what you’ve created in your marriage, the joys and highlights that you’ve both shared, as well as the challenges that you’ve overcome. 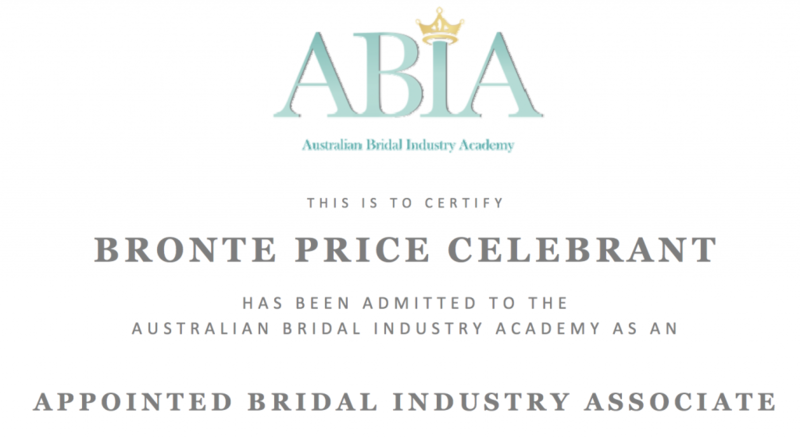 Bronte Price I Melbourne Marriage Celebrant is at Absinthia Bar.